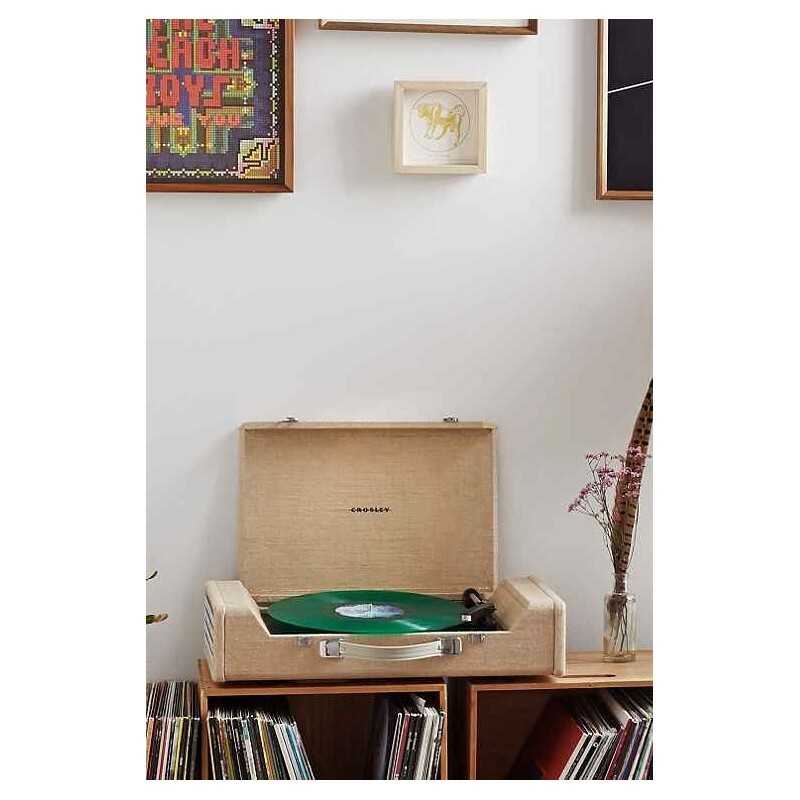 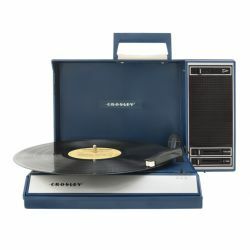 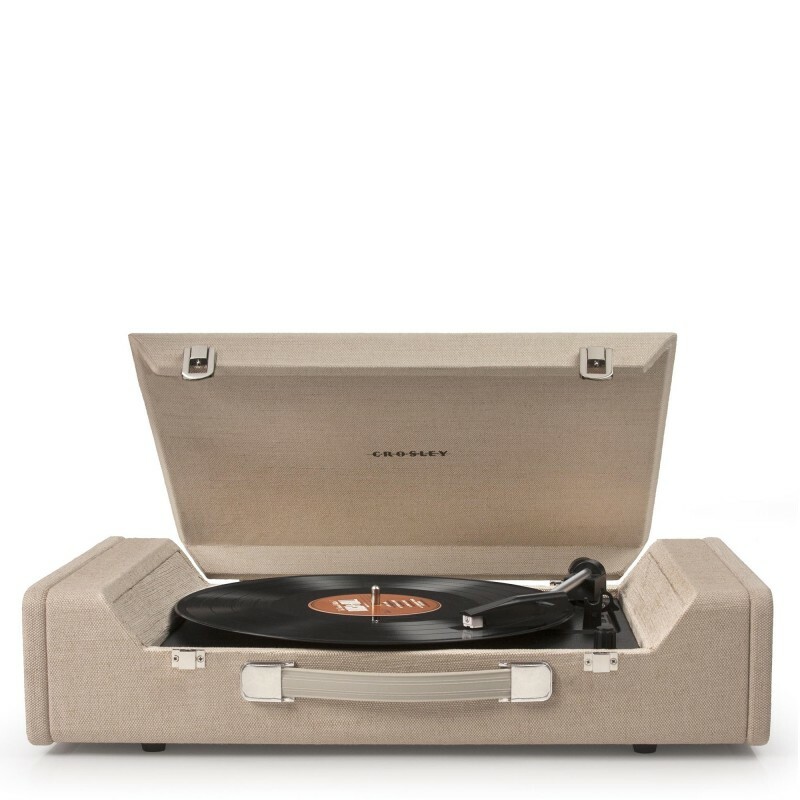 Crosley Nomad is a three-speed wood fabric covered turntable with integrated active speaker and USB interface. 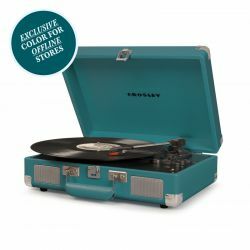 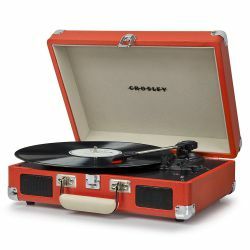 Crosley Nomad boasts a vintage-style design inspired by the '50s classic turntables, a full-range stereo system with bass-reflex speakers, a magnetic Audio-Technica diamond needle (upgrade always included in all Crosley Nomad distributed by Nicole design store ), Input and Output Jack 3.5mm (1/8 inch) and RCA output. 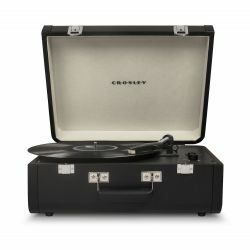 24-month Official Crosley Warranty issued by an Authorized Dealer Crosley. 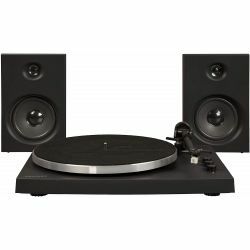 Best Price Guaranteed on all turntables available in stock. 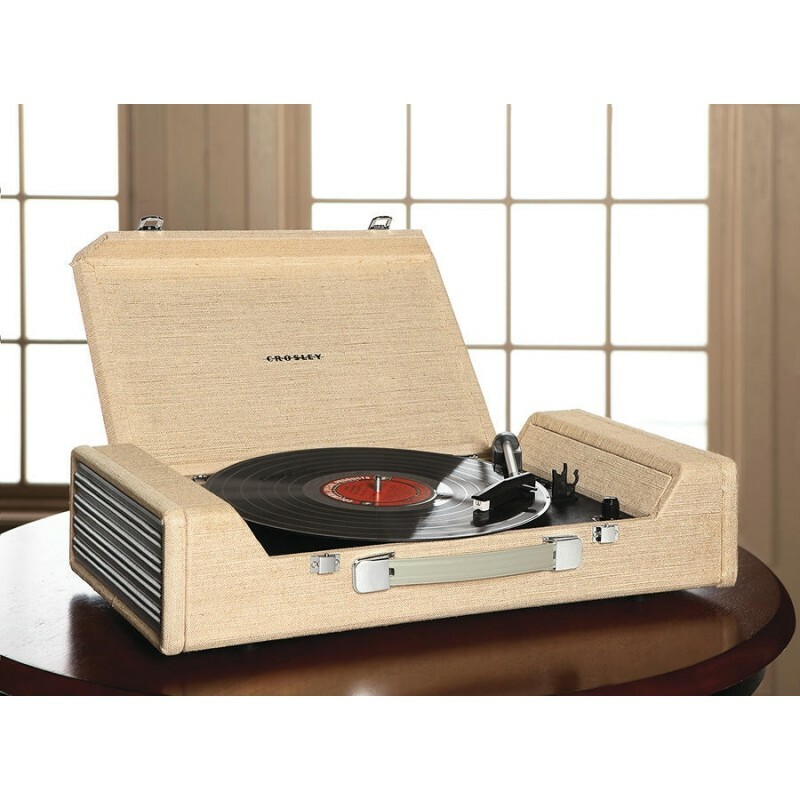 Life-Long Advantageous price on any needle and other spare parts. 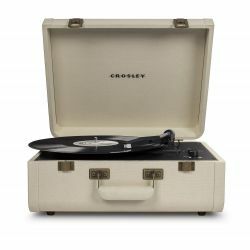 Treat yourself to a musical journey of your own, wherever you want with the Crosley Nomad USB turntable. 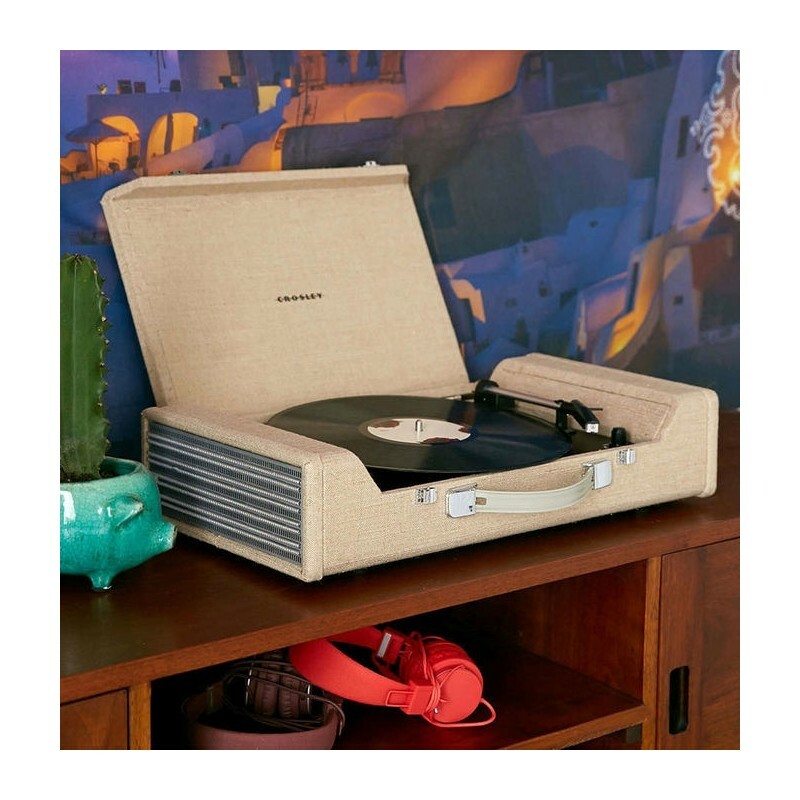 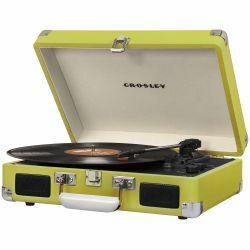 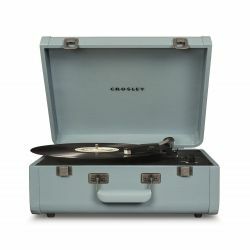 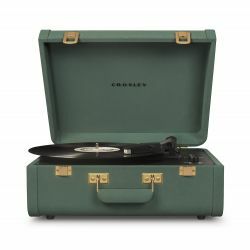 With a vintage-style briefcase design, your Crosley Nomad will allow you to easily play your favorite music at a level of quality unmatched by turntables from other brands with equal prices. 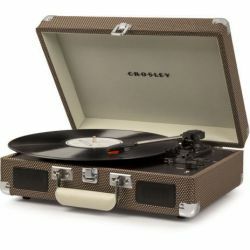 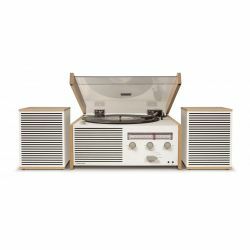 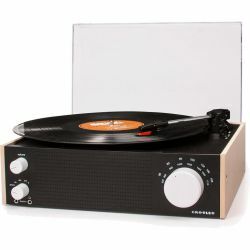 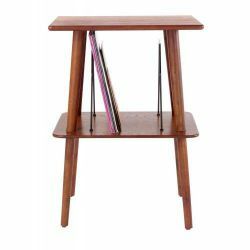 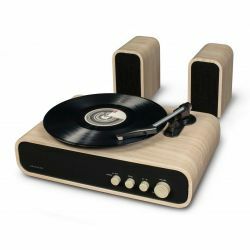 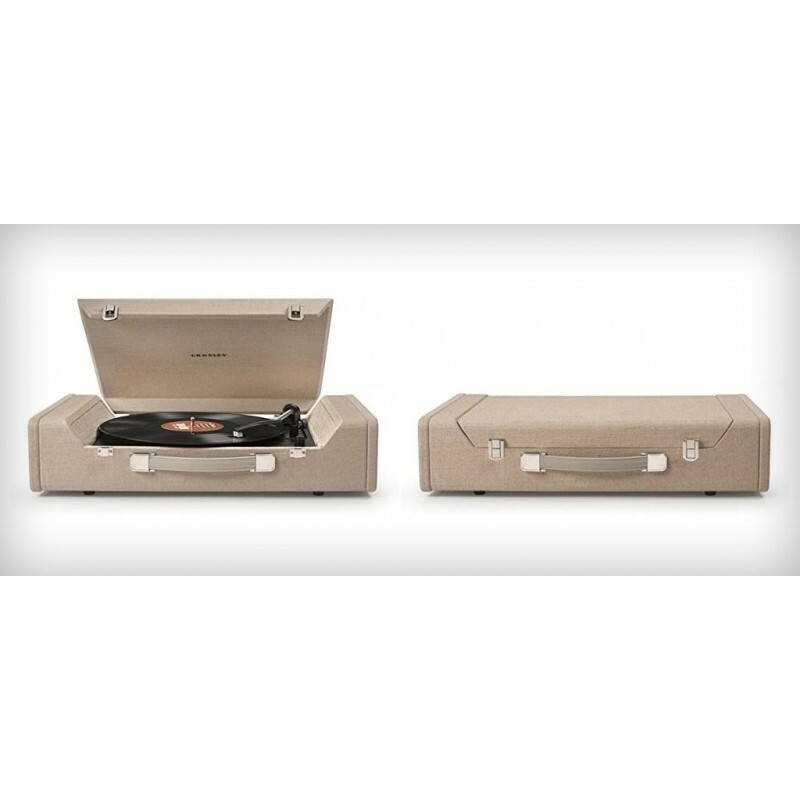 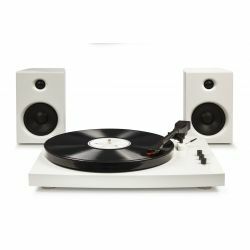 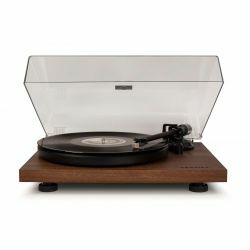 Well built, with Audio grade wood frame covered in tweed fabric, this turntable offers 3 speeds (to play vinyls from 33 1/3, 45 and 78 rpm), full-range stereo speakers, auxiliary aux-in input to exploit it as speaker for hi-tech devices (from phone to TV or PC), headphone jack output and dual RCA output. 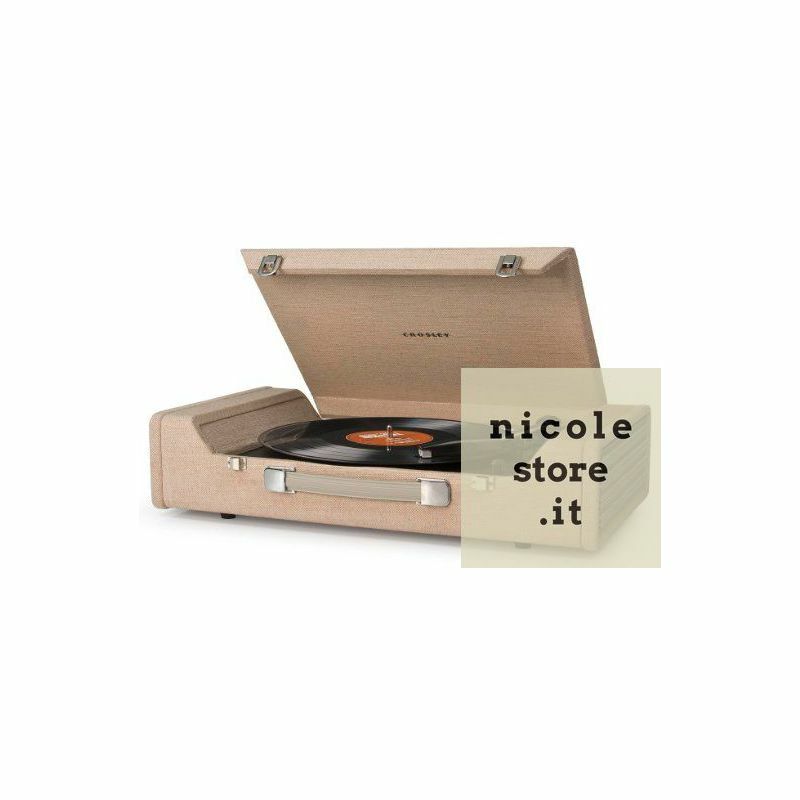 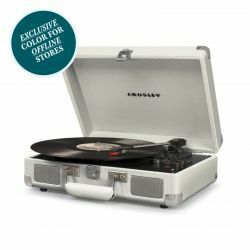 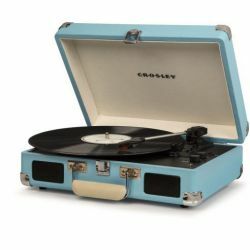 The Crosley Nomad is equipped with a USB interface complete with Mac and PC software that allows you to record your favorite vinyl files in digital files. 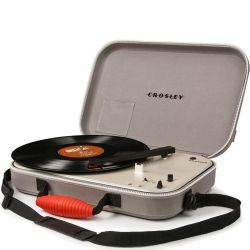 For devices without a CD player, a download voucher is available. 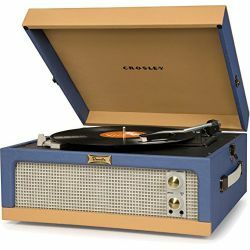 Crosley Nomad - Main features. 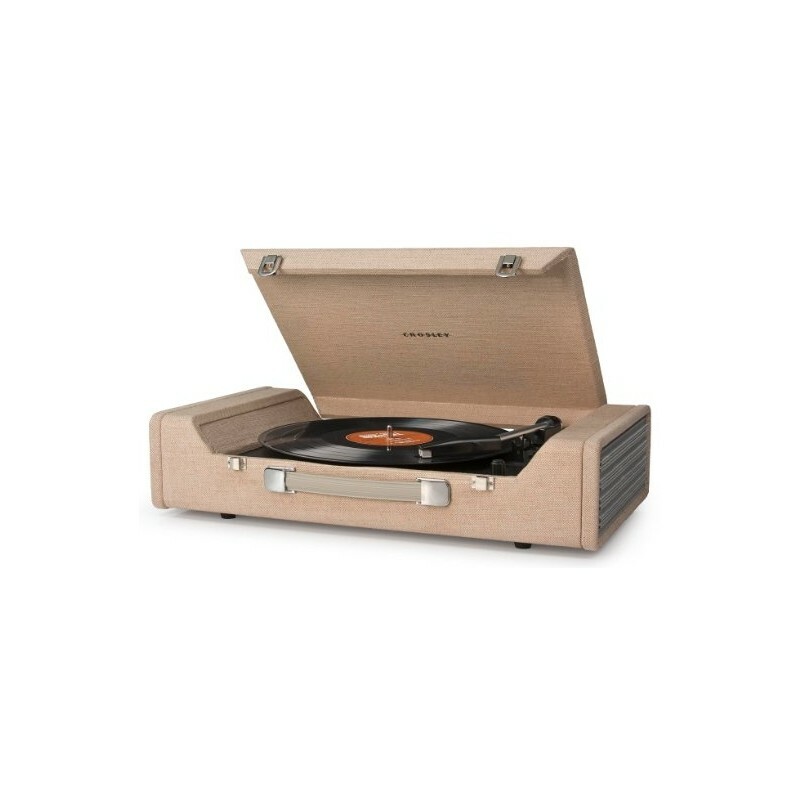 Reproduces in 3 speeds - 33 1/3, 45 and 78 revolutions per minute.